Get $40 off $250 with the Wayfair Credit Card3. 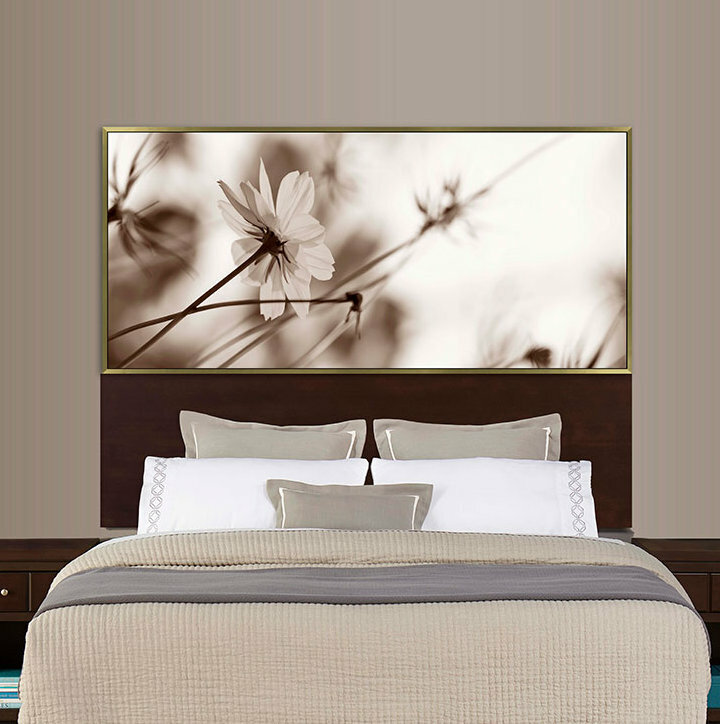 When you buy a Interia Hospitality Davenport Panel Headboard online from Wayfair, we make it as easy as possible for you to find out when your product will be delivered. Read customer reviews and common Questions and Answers for Interia Hospitality Part #: DAV.201 on this page. If you have any questions about your purchase or any other product for sale, our customer service representatives are available to help. Whether you just want to buy a Interia Hospitality Davenport Panel Headboard or shop for your entire home, Wayfair has a zillion things home. Based on 100 total reviews. This dresser looks nice, but it's drawers stick and pulls out the other drawers and rubs as you push it in. I suspect over time the constant friction will wear the finish off. As well, the drawers wobble an awful lot. For the price, the value will not last very long. This mirror works well in our bedroom and looks nice. The only problem was hanging it. It took my partner some time and head scratching to figure out how to make it work. He gets kudos for doing so. Love the streamline look of the Asha Panel Headboard. The mirror is beautiful but unfortunately mine came cracked. No fault of Wayfair as it was well packaged but my overall experience was shattered (much like this mirror) when it came cracked after waiting over a week for it. Aside from that, wayfair customer service is amazing as always. Thanks! Perfect for the tight spot between my bed and the wall. Well made, with a good design. I deducted one star for the difficulty of aligning the french cleat mounting system, which was a pain to align. Very nicely made. High quality even though it's plastic, doesn't look like it. Rated 4 out of 5 stars.5 total votes. Recreating the look of sleek Hollywood glamour, this luxurious Muni Upholstered Panel Headboard is upholstered in sensuous Bi-cast leather. Beautifully tailored with channel quilting, this striking headboard makes an eye-catching focal point in transitional rooms. This queen size headboard features lateral storage spaces on each side, ideal to keep your favorite books and magazines handy. This headboard matches different this queen size beds and is not compatible with metal bed frames. Rated 4 out of 5 stars.4155 total votes. Outfit your master suite in streamlined style with this headboard. Crafted from manufactured wood, its frame features a straightforward design wrapped in textured linen upholstery for a contemporary look. A line of nailhead trim introduces a touch of edgy appeal, while foam fill in the headboard creates a place for you to lean back and page through your latest read. This piece also features an adjustable height and pre-drilled holes. Rated 4 out of 5 stars.358 total votes. 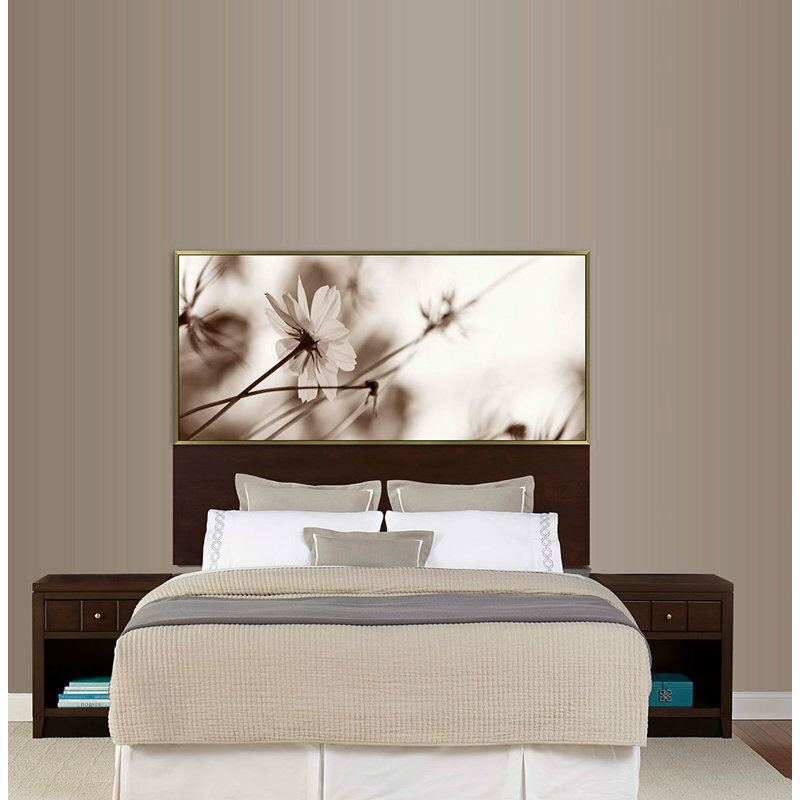 Give your master suite a modern makeover with this streamlined panel headboard. Made from manufactured wood with laminate in a neutral finish, this budget-friendly piece is designed to look like it’s floating for contemporary appeal. Truly a perfect composition of forms and finishes, this Panel Headboard is a modern collection offering bedroom and dining room. The milk chocolate and dark chocolate finishes complement each other and accentuate the sleek styling and jazzy linden tech veneer patterns. Rated 3 out of 5 stars.4 total votes. These extension panels are only compatible with these plank effect headboards. Both panels are easy to install and add a unique modern style to your bed. Master suite in need of an update? Headboards are an easy solution for your ensemble, creating a fashionable focal point that elevates your bedscape. Take this one for example: founded atop two legs, it's designed to attach right onto your existing bed base. Crafted from metal, with a polyester blend upholstery, and button tufted details, this piece is perfectly at home in modern and contemporary aesthetics. A five year warranty is included with this headboard.